Welcome to the “one-stop” shop for information pertaining to Chautauqua County’s START-UP NY initiative. This portal has been created to act as a repository for all current information related to Chautauqua County’s START-UP NY activities, and will be updated regularly so that the latest information is available and accessible to the public. The CCIDA staff is available to meet with you to discuss any aspect of this exciting program or other available incentives (see “CCIDA Contacts” below). START-UP NY creates tax free zones and other incentives to businesses locating on or near approved colleges and universities throughout New York State, with the goal of attracting businesses that would not otherwise locate in the State. Fredonia State University in the northern section of the County and Jamestown Community College in the southern part of the County are participating in this program. A link to the overall state initiative is provided below, as is information and links to available properties, developing and submitting an application via Fredonia State College or Jamestown Community College, Frequently Asked Questions and information/links to other applicable resources. 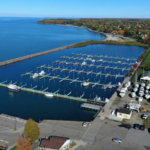 North County (Fredonia State START-UP NY) – targeted business clusters include: Agribusiness, Technology, Lake Erie Research & Development, Educational Tourism and other business opportunities related to Fredonia’s mission. South County (JCC START-UP NY) – targeted business clusters include: Manufacturing, Biotechnology & Research, Information Technology/Computer Science, Service-related professions.